For those who were excited by the recent news that AMC will be adapting the beloved supernatural comic book title Preacher for a new live-action series, it’s all about to get real. It is being reported that the show has just locked down its first major cast member, and compounding the elation is this cast member will be coming straight off another popular genre show, Marvel’s Agents of S.H.I.E.L.D.. Ruth Negga, who currently plays the mysterious, recently metamorphosed Raina, will take the role of the female lead in the upcoming Preacher series. According to Deadline, Ruth Negga will soon be abandoning her spiky-faced femme Raina on S.H.I.E.L.D. to play the role of Tulip O’Hare, the troubled love interest and partner in demonic crime of main character Jesse Custer on Preacher. This should be the biggest role thus far for the Ethiopian-born actress, who also appeared in the film World War Z and had an uncredited minor role in 2014 Best Picture Oscar winner 12 Years a Slave, as well as a role in next year’s MMORPG video game adaptation, Warcraft. Adapted from the celebrated comic book series created by Garth Ennis and artist Steve Dillon in 1995, Preacher is a gritty, dirty story focusing on a world of monsters, demons, angels and, well, God himself. It all takes place within the sweaty brown-hued confines of the Bible Belt in a fictional Texas town called Annville. As the titular preacher, Jesse Custer experiences what would have to be the most disheartening of theological experiences when his soul is merged with an angel/demon hybrid entity named Genesis. While the sinister synthesis is perpetually agonizing, it also grants Jesse odd awareness and powers such as the quasi-divine people-influencing type of Jedi mind trick called “The Word of God.” Yet, that tremendous tumult is almost matched by his relationship with the clever, but troubled Tulip O’Hare. At the moment, Ruth Negga is the only officially confirmed cast member. However, if recent rumors prove true, then the role of her livid lover Jesse could be filled by another Marvel TV vet in Dominic Cooper, who played Howard Stark on Marvel’s Agent Carter. (As well as Captain America: The First Avenger.) The other critical role of the duo’s drunken, trashy vampire sidekick Cassidy will also need to be filled soon. 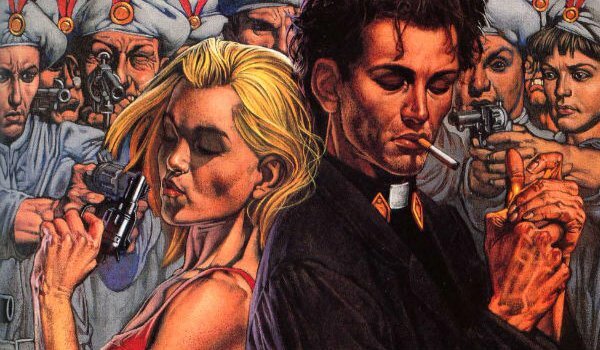 No details have been revealed as to when Preacher will begin production.